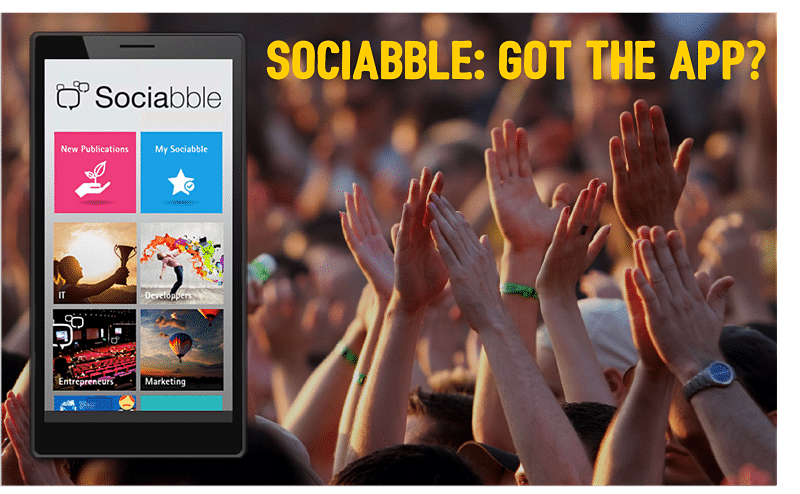 The Sociabble App is Available for Android, iPhone and Windows Phone! Are you an Android user, a lover of Windows Phone or an iPhone fanatic? It doesn’t matter, because the Sociabble brand advocacy platform is available for all three with the Sociabble App! Thanks to the App’s simple and user-friendly interface, you can view and share content on any of your own social networks in no time at all, wherever you are. And of course, the application comes complete with points, campaigns and all other gamification functionalities. Download the App now from the Android Store, iPhone App Store or Windows Phone Store.